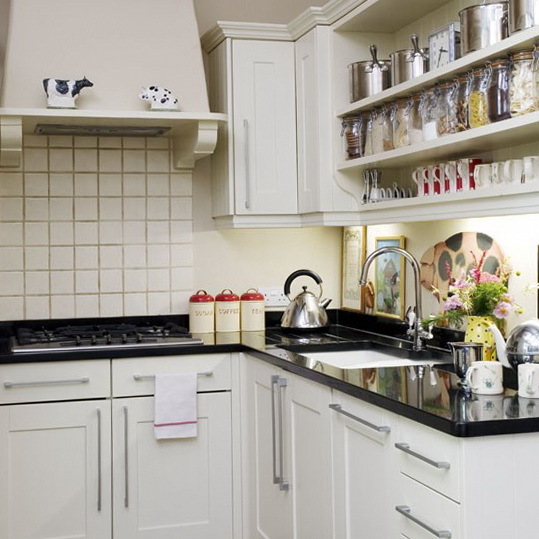 The kitchen is one of the most important locations in any house, where all the cooking and baking is done. If your kitchen is disorganized, cluttered, and cramped, how do you cook? You can’t. 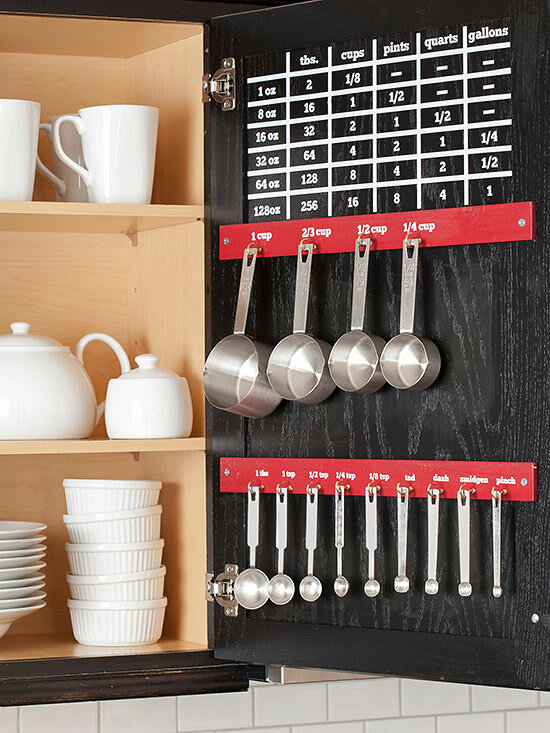 An organized kitchen is important, and will save you lots of time! 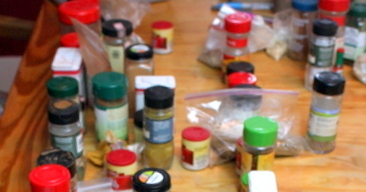 Spices are very important to cooking any meal. They add all the flavor! 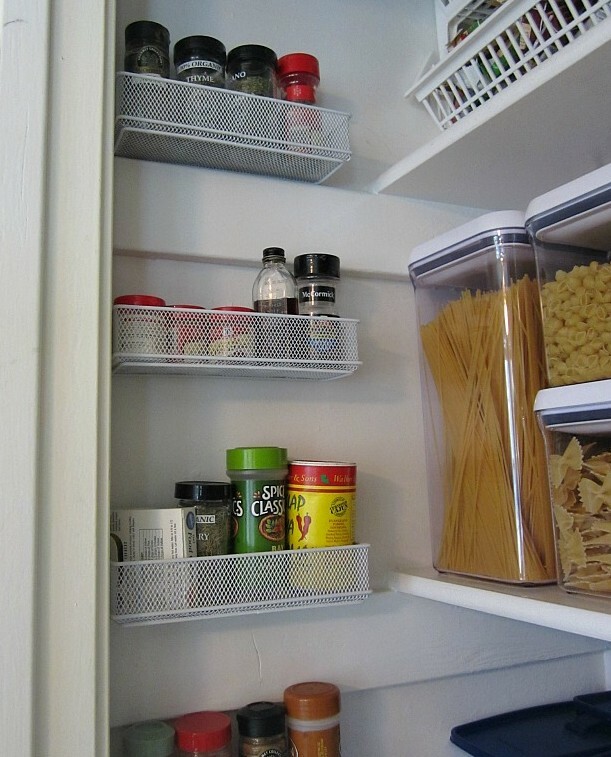 Try installing small wire baskets on empty walls to help organize and store your spices. It will make them much easier to find. 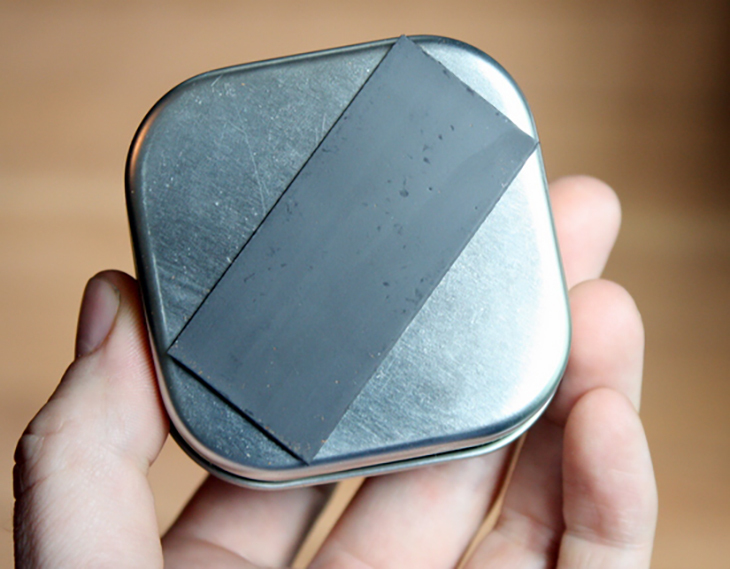 Add magnets to the back of small, air-tight jars that hold your spices. Just label them and stick them on your refrigerator for easy access. 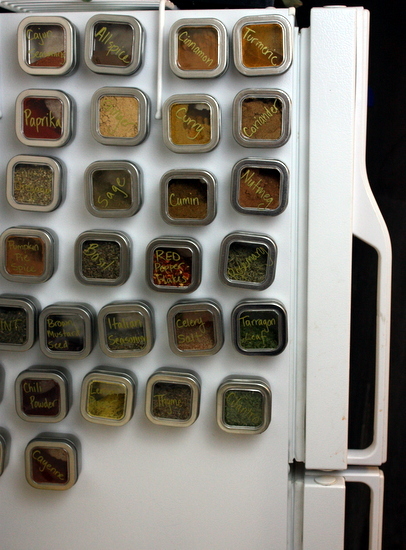 Creating these magnetic containers is easy, but it’s important to take your time and carefully plan out how to organize your spices. Click here for more tips and tricks. 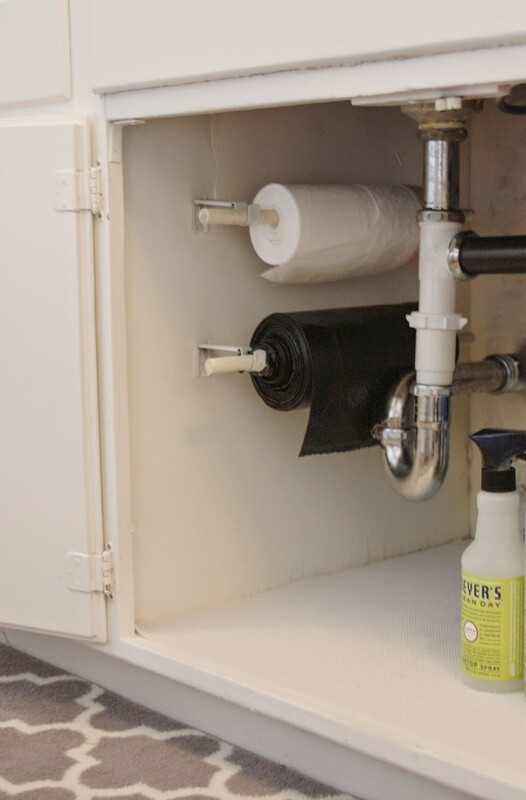 Trash bags left in a trash box can take up a lot of space. Instead, unpack them and put them on a roll (like toilet paper). Click here for a tutorial. Use a cup measuring board. It’s super handy, especially if you like to try out new recipes. 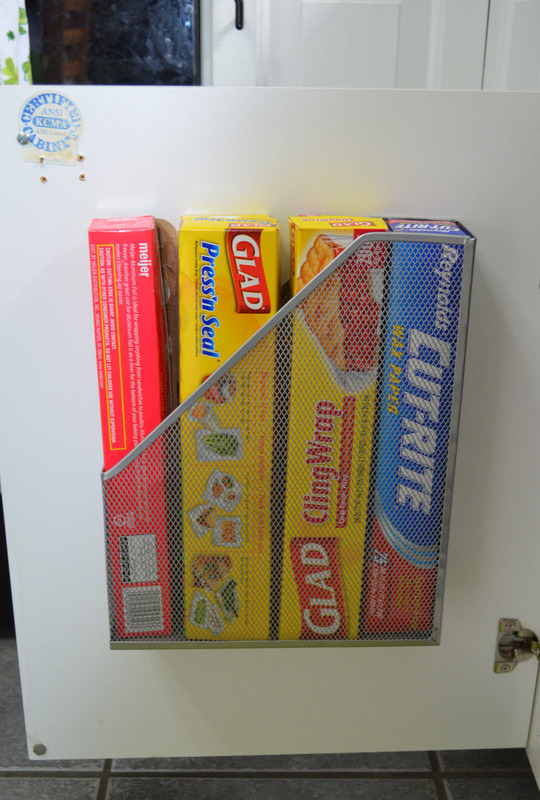 Put your plastic wrap, wax paper, aluminum foil, and cellophane in a magazine rack for easy storage. 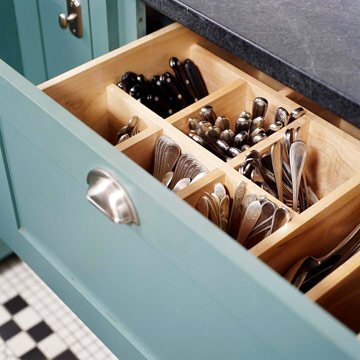 Rather than lay things flat and horizontal, store utensils and silverware vertical to save space. 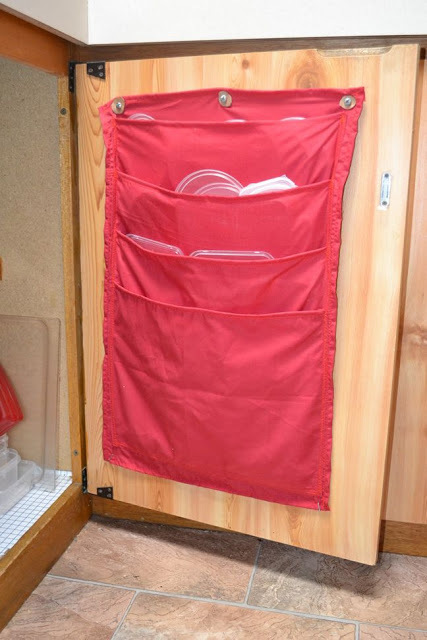 Use an old shoe caddy to store your Tupperware lids. If you frequently use ingredients such as rice and pasta, then install mason jar lids underneath your kitchen cabinets. You’ll have easy access to these containers at all times, and they clear up space on your countertop.